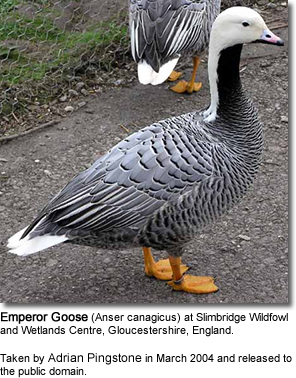 Emperor Geese (Anser or Chen canagica) were traditionally considered to be part of the "grey" goose genus Anser. 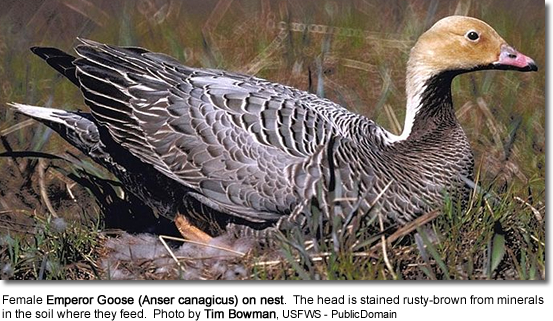 However, the American Ornithologists' Union places this species in the "white" goose genus Chen. 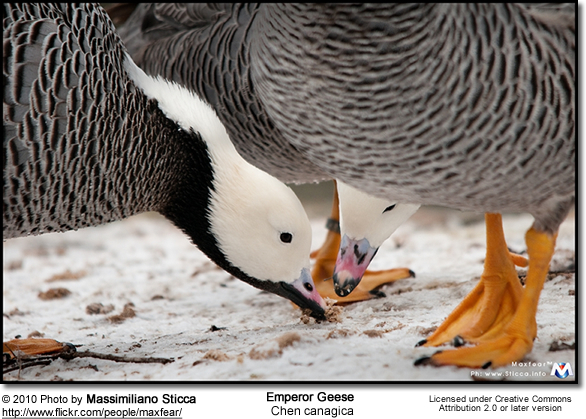 Emperior Geese breed around the Bering Sea, mostly in Alaska, United States, but also in Kamchatka, Russia. 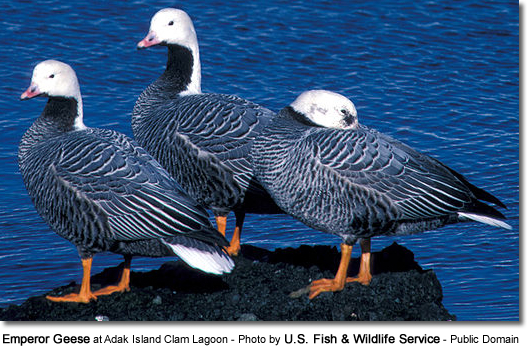 These migratory geese usually winter in the Aleutian Islands in the Northern Pacific Ocean westward from the Alaska Peninsula. They are usually seen in family groups. 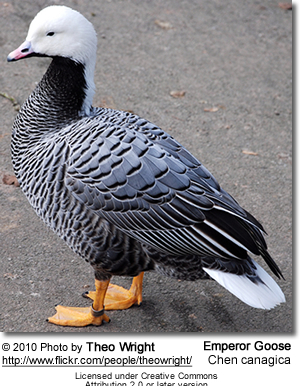 Emperor Geese have a mostly grey plumage, with fine black and white barrings. The head and hindneck are white, but often stained orange from iron-rich waters. Males and females look alike, but the immature's head is the same color as its body. Resembles the blue-morph (genetic mutation) Snow Goose, but the white does not extend onto the front of the neck. 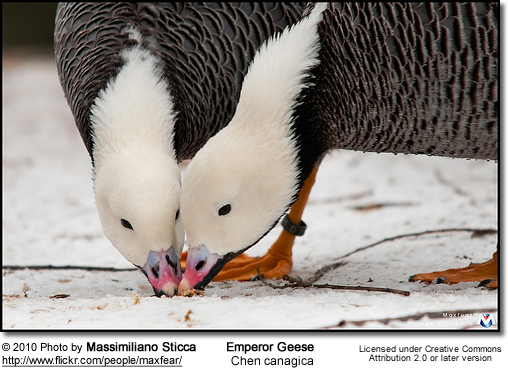 Emperor Geese typically feed on shoreline grasses and other coastal plants.